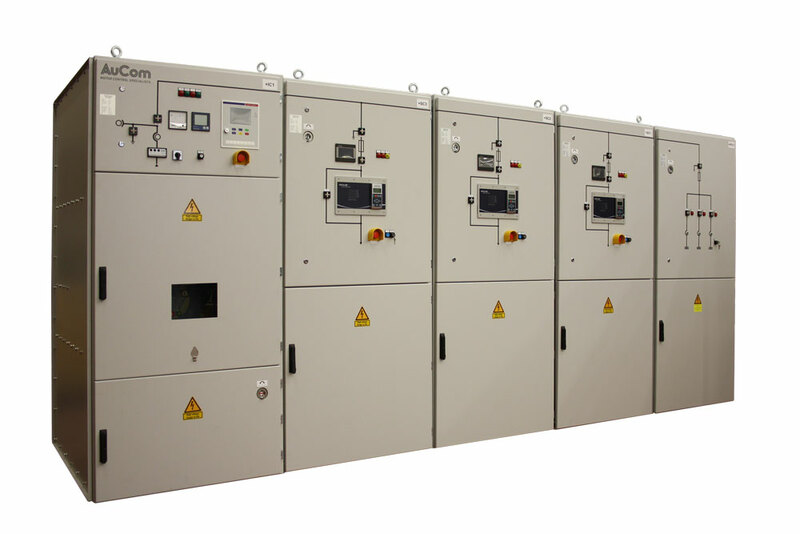 The L-Series panel system is our market leading range of fully type tested, arc proof medium voltage panels. The L-Series combines extensive personal safety features and an easy-to-use graphical interface with comprehensive built-in motor/load protection. 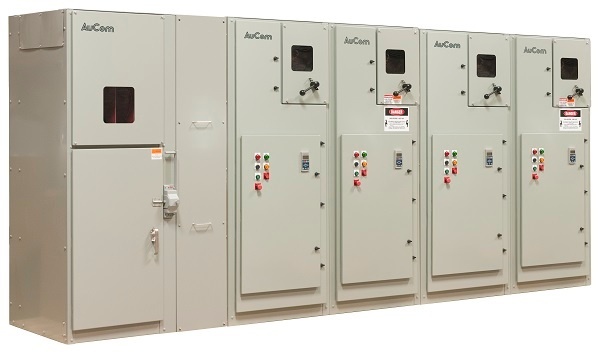 All AuCom L-Series panels are fully type tested according to IEC 62271-200. L-Series panels are available in two distinct primary configurations: the L-Series MVE and the L-Series MVX. 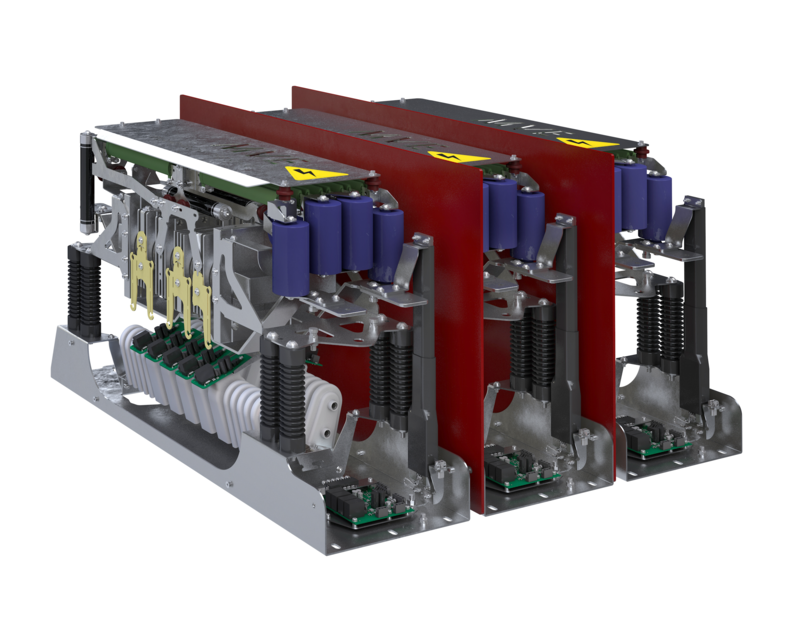 The M-Series MVE medium voltage soft starter is an integrated solution for motor control and protection. M-Series MVE starters combine advanced soft start and soft stop functionality with extensive motor and system protection, plus a user friendly interface and complete commissioning diagnostics. 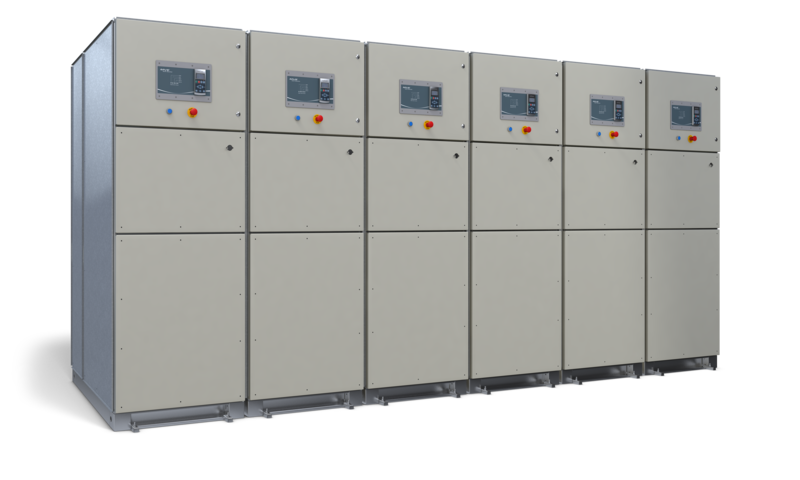 Available in NEMA 1, NEMA 12, NEMA 3R and outdoor rated enclosures, the P-Series MVE panel solution comes as a fully-finished cabinet including load break disconnect, in-line vacuum contactor, as well as built-in motor overload protection.